I am a Visiting Assistant Professor in the School of Information Sciences at the University of Illinois at Urbana-Champaign focusing on Everyday Information Behavior. This website provides information about my work and research interests. 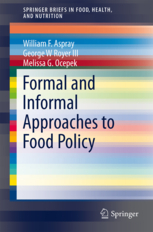 Speaking of work please check out my recent books, Food in the Internet Age and Formal and Informal Approaches to Food Policy, which I co-authored with Dr. William Aspray and George Royer.